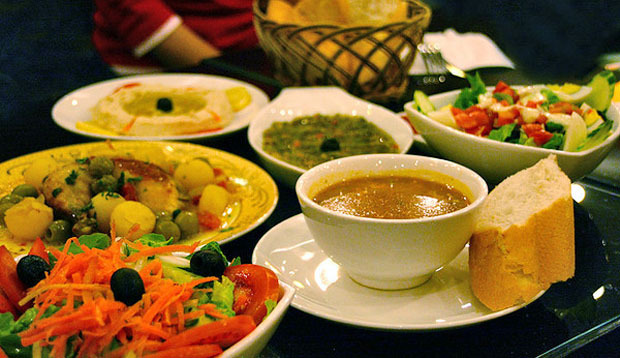 Mediterranean cuisine is the food from the cultures adjacent to the Mediterranean Sea. Although this region spans a wide variety of cultures, the historical connections of the region have led to there being many common elements in the foods. The food consists primarily of fruits and vegetables with an emphasis on poultry and seafood, grains, beans and pastas. Olive oil the most prevalent fat or oil used in the preparation of salads, marinades, vegetables, poultry, and seafood. Eggplant, artichokes, squash, tomatoes, legumes, onions, mushrooms, okra, cucumbers, and a variety of greens are served fresh, baked, roasted, sautéed, grilled, and puréed. Yogurt and cheese are also major components of Mediterranean cooking. 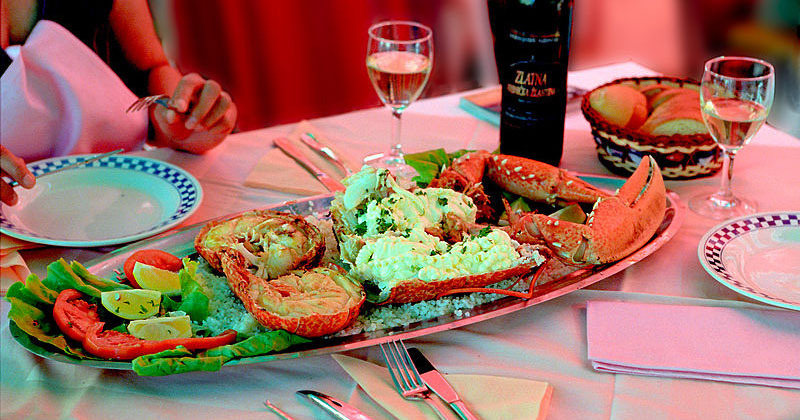 Coastal areas use seafood. Herbs are used in abundance.